Major League Baseball on Monday announced the Oakland Athletics recently trialled a contactless ticketing system that relies on Apple NFC assets to let customers enter the stadium with the tap of an iPhone or Apple Watch. The pilot, which ran for six home games starting on Sept. 22, began after the release of iOS 11 and marked the first time a professional sporting event integrated contactless ticketing in Apple Pay, reports TechCrunch. Not an Apple Pay payments solution, the program leveraged NFC technology normally used to facilitate the redemption of in-store rewards like coupons or store credit. The evaluation is the first to use Apple's NFC assets in this way, the report said. The stadium entry system deployed by Tickets.com, a subsidiary of MLBAM, functions akin to barcode readers like those at airline terminals. Instead of reading a barcode or QR code, however, the A's version taps into Apple's close-range NFC radio to transfer customer authentication data to a ticketing terminal. 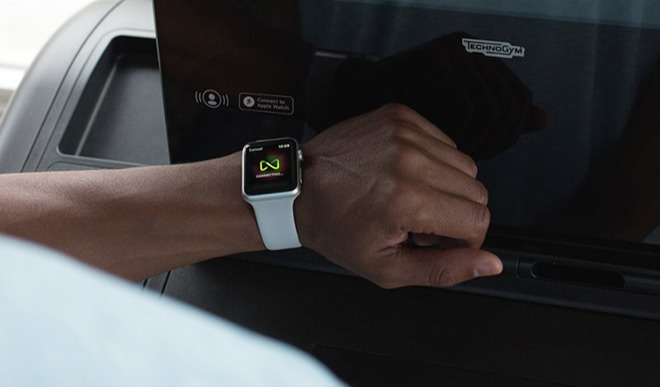 Replacing barcodes with NFC is not only more secure, but the technology built into iPhone and Apple Watch is more reliable than optics-based solutions. Tickets.com manages ticketing for 23 MLB teams, as well as a number of other clients, and is working to deploy the contactless entry method in other stadiums and venues before the 2018 season. After keeping its NFC hardware on strict lockdown since iPhone 6, Apple is slowly allowing developers greater access to the critical communications component. With iOS 11, for example, the company rolled out Core NFC, a framework that enables a "reader mode" to detect NFC tags and read messages that contain NFC Data Exchange Format (NDEF) information. Limited to iPhone 7, 8 and X models, reader mode allows users to tap on an NFC tag to display information about real-world objects, for example museum exhibits or retail products.